No matter the season, travelers heading to Iceland need to keep safety in mind at all times. Since there are no dangerous animals here, the Icelandic nature works extra hard to keep you on your toes. There are a number of resources available to travelers in Iceland that aim to educate, inform, and prevent accidents. In this article I´ll share with you some safety matters to keep in mind through the changing seasons as well as some resources for educating yourself. Iceland´s appeal stems from its otherworldliness and unique natural features but this mysterious allure is also what creates safety issues for travelers who are unfamiliar with the environment. Iceland has beautiful steamy geothermal areas with cozy hot pools for bathing but it also has boiling hot water lurking just under the ground. 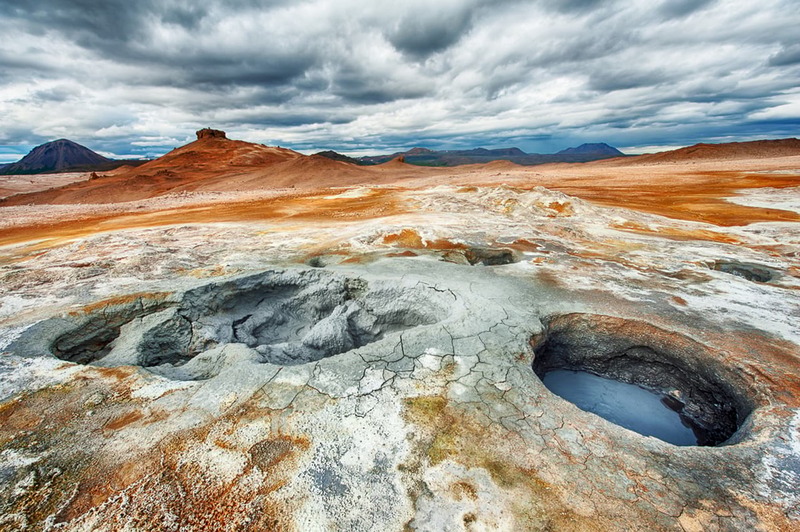 It is not uncommon for tourists to burn themselves in geothermal areas. This is easily preventable by sticking to marked paths and listening to instructions on signage. Iceland is famous for its killer beaches and deadly sneaker waves. If you visit Reynisfjara or Djúpalónssandur stay FAR back from the waves and don´t underestimate their strength. As expected in the country called Iceland there are multiple ice related risks at popular tourist sites. 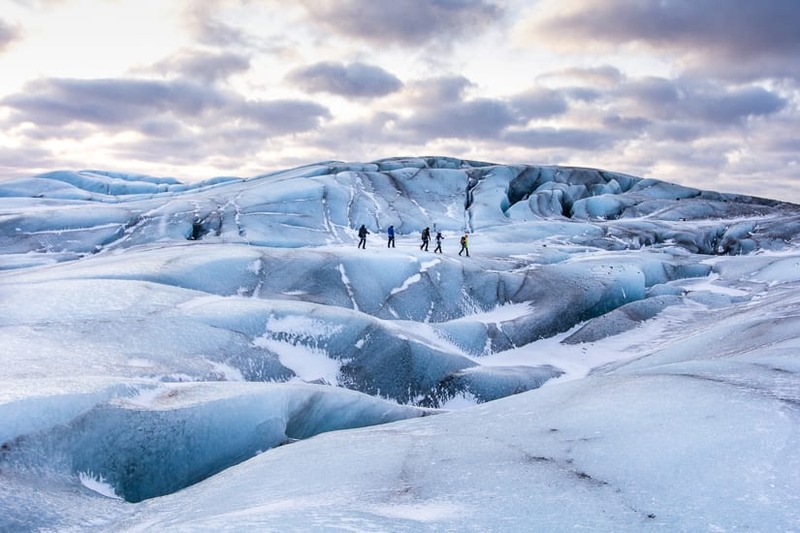 If you visit the glaciers stay OFF the ice unless you are with a trained glacier guide and have the proper safety equipment such as crampons and a helmet. There are numerous crevasses on the ice which only the guides who frequent the area know about. If you make it to the south east to see Jökulsárlón glacial lagoon stay on the shore and don´t climb on the ice at the Diamond Beach. And for goodness sake don´t forget to put your car´s parking brake on! Before you come to Iceland familiarize yourself with one of Iceland´s fantastic safety resources: SafeTravel!. This is an accident prevention project founded by the Icelandic Association for Search and Rescue. 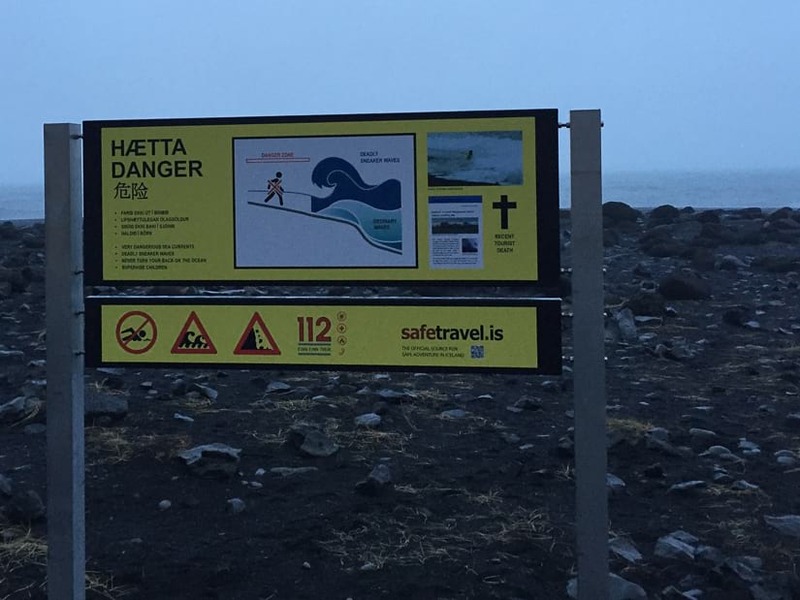 There is a variety of safety information for almost every activity you could want to do in Iceland and the site is accessible in English, Icelandic, French and German. By reading up before you arrive you can better plan for a safe trip! When you leave the city to begin your adventure begin by checking the weather, the road conditions and leave a detailed travel plan on safetravel.is (its free!). Iceland has plenty of active volcanos, some of which are currently overdue for an eruption. 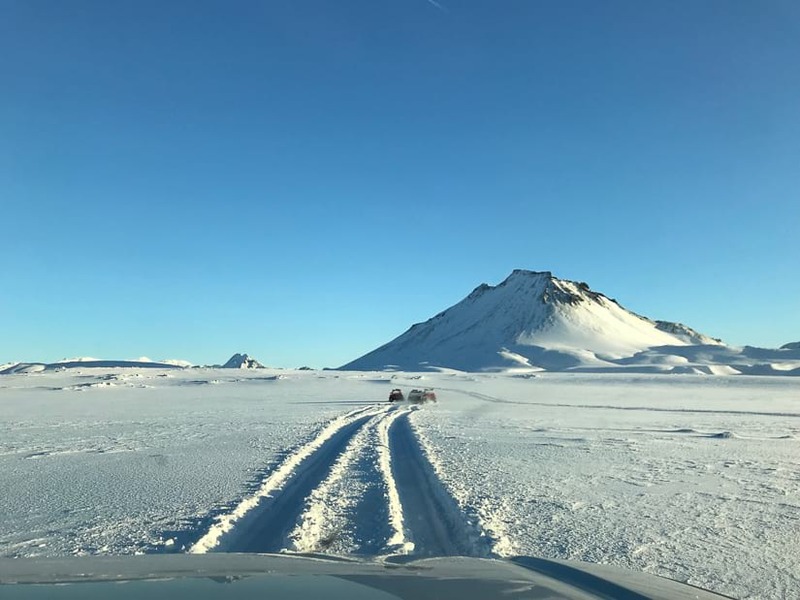 The Icelandic Met Office monitors these volcanos 24/7 for tremors/earthquakes/activity of any kind so you don´t need to be worried about sudden unannounced eruptions. If you are in the area of an eruption you will be notified via SMS by emergency services. Road blocks will also be set up and there are evacuation plans in place. Volcanos can influence air traffic so if there is an eruption your flights may be delayed as they were when Eyjafjallajökull erupted in 2010. 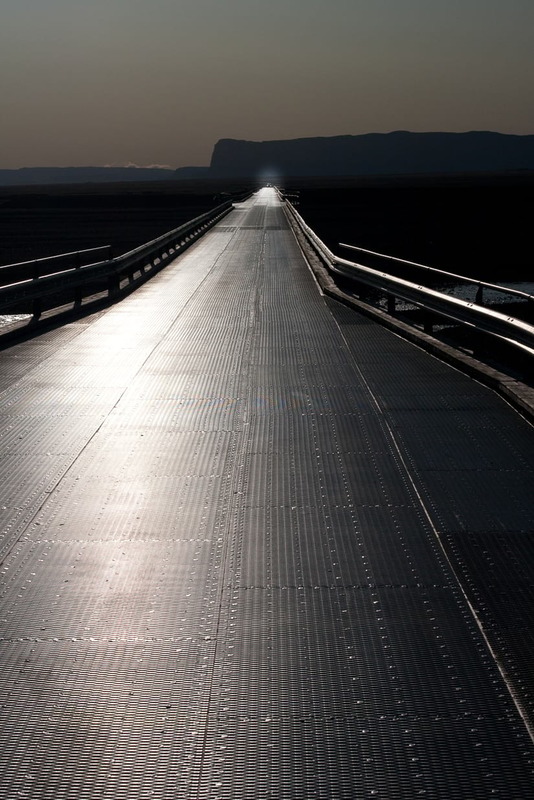 Summer is considered the high season in Iceland and people often assume that summer in Iceland with its plentiful daylight and above 0 temperatures make for a carefree travel environment. This couldn´t be farther from the truth. Iceland is a small island in the north Atlantic which means that it is vulnerable to severe weather systems throughout the year. The weather is difficult to predict more than a few days in advance which can make planning a challenge. In Iceland travelers must expect the unexpected and prepare for it! During the summer the ring road is as good as it gets for driving conditions. However, the F-roads (highland or mountain roads) are a different story! F-roads are only accessible for about 8-12 weeks of the year each summer and even then conditions can be challenging. These roads are only accessible to 4X4 vehicles and almost all highland roads feature unbridged river crossings. Something to keep in mind is that off road driving is ILLEGAL in Iceland so you may not drive off road to find a different place to cross the river. If your vehicle is not able to cross the river at the designated crossing you have no business driving there. Off road driving destroys the delicate nature and ruins the unspoiled nature which people specifically travel to Iceland to see. Drive responsibly, and don´t take any risks if you aren´t prepared to pay a LOT of money to get bailed out by your rental company (we´re talking thousands of euros!). Don´t worry there are plenty of beautiful sites to see in Iceland that don´t require you to leave the ring road or hire a 4X4 car! And if you´re keen to access the highlands but don´t have experience crossing rivers you can take the highland bus. And please keep in mind that there are several single-lane bridges on the Ring-road. The actual rule is that the car closer to the bridge has the right-of-way. However, it is wise to stop and assess the situation every time. 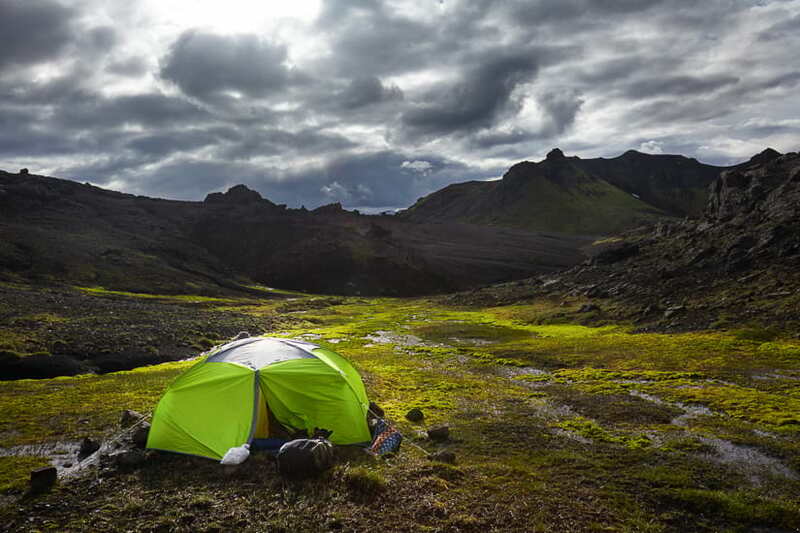 Camping is a great way to enjoy Icelandic nature but it can be pretty miserable if you´re not well prepared. To keep yourself safe while camping you need to keep your body temperature up and your shelter secured. Temperatures in the summer are often still in the single digits which means you´ll need a warm sleeping bag and a good thick mattress pad to isolate yourself from the cold ground. To easily increase warmth, try a sleeping bag liner or a thicker mattress. Bring a sleep mask with to ensure you get a proper night´s rest as the midnight sun might keep you awake. If you don´t want to be woken up to your tent flapping in the wind bring some extra guy lines and poles to keep it fully secured. The great thing about camping in Iceland is that there are no dangerous animals lurking and you don´t need to hide food. If you´re heading in to the back country, you will need to have the appropriate gear with you. 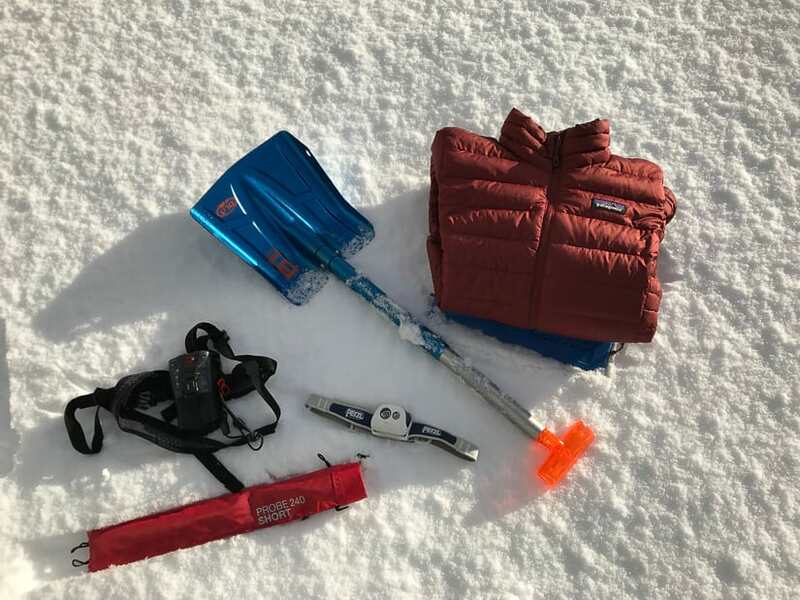 The 3 essentials for back country travel are an avalanche transceiver, a shovel and a probe. Everyone in your party should own this gear and have experience using it. You should also carry a GPS as visibility can be nonexistent if there is blowing snow. If you´re recreating in remote areas, you should be looking at avalanche forecasts and conducting your own avalanche tests by examining the snow pack. If the conditions aren’t ideal don’t put yourself and your party at risk. 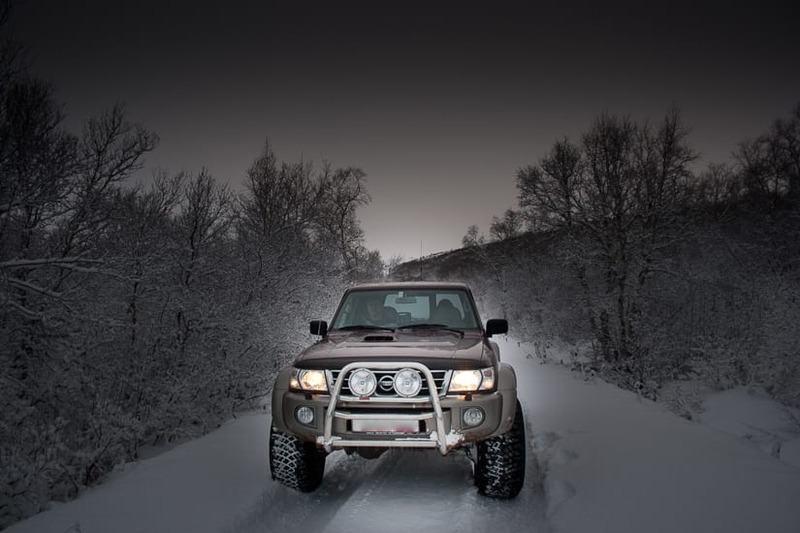 All cars in Iceland are legally required to have winter tires during the winter so you can rest assured that your rental vehicle will be properly equipped. However, you will have to consider weather, road conditions, your driving ability and vehicle choice before setting out. It’s up to you how much risk you want to take on as you will ultimately foot the bill should an accident occur. An inexperienced driver taking a non 4X4 on slippery roads in windy conditions is just irresponsible. When you get in the car you are not only putting yourself at risk but others on the road as well. Consider this before taking on a situation you are ill equipped for. If you don´t have winter driving experience you can always opt to take a bus with an experienced driver instead. If you get your rental vehicle stuck in the snow, call the rental company first and wait for their instructions. Many people come to Iceland in winter to get a chance to see the Northern Lights. Although they are very exciting it’s important that you view them safely and not put others at risk. Never stop in the middle of the road to look at the lights. There have been car accidents of this nature before and its simply not worth it. Find a safe place to pullover and don´t risk going out in adverse weather to go lights hunting. You will need warm clothing in Iceland both during winter and summer but in winter you will need to be extra diligent in packing to be sure you´ll be warm. Temperatures in winter rarely go below -10 in the lowlands but when the wind chill kicks in it feels MUCH colder. For this reason, you need to be well prepared and use a layering system to avoid sweating when you´re moving or go inside. You will need a wicking base layer (ideally wool), 1-2 mid layers (synthetic, down, fleece or wool all work) and an outer layer shell to keep yourself dry. If you´re walking in snow you´ll need gaiters to keep your feet dry, and you´ll want waterproof boots and super warm wool socks. It’s better to prepare for lower temperatures than you expect as the wind chill can take the temperatures down significantly. The Icelandic Association for Search and Rescue (ICESAR) is an incredible network of volunteer rescue workers that undergo 2 years of specialized training. If you are lost or find yourself in a bad situation these people will drop everything and come looking for you. This organization should be considered before setting out. You should only take on a situation or trip that you are truly prepared for as any risk that you take is a risk that the rescue team will also have to take should they need to rescue you. Listen to weather warnings and take note of road conditions and be honest about your abilities. This will ensure a better, safer journey for you and limit the instances of rescue worker call outs.